The sound of snoring generally does not come from the nose, but from soft tissue vibration in the back of the throat. Most children above the age of 3 tend to snore during the stages of deep sleep and about 1 in 10 children snore at some time during the week. 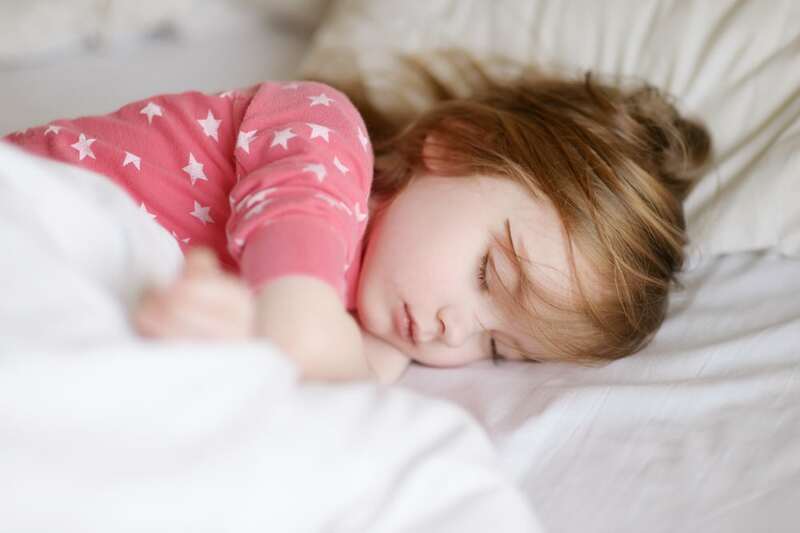 The key issue with children’s sleep is to be able to identify “Primary Snoring”, which is snoring that is not associated with a serious illness from more serious medical issues such as Sleep Apnea. In fact, The American Academy of Pediatrics has recommended that all children who snore be screened to separate primary snoring from Obstructive Sleep Apnea. Why does your child snore? This can come from allergies, a cold or flu. Resulting in your child needing to breathe through the mouth, which then leads to snoring. A deviated Septum is either genetic or comes from trauma. As one nasal passage becomes smaller in this condition, this makes it a lot harder to breathe through the nose. This would include Asthma, which can constrict the airway or Gastoenterological Reflux disorder (Gerd) which irritates the pathway. Here the swollen glands get in the way and cause vibration, as well as making it difficult to breath. This condition is the most common cause of Obstructive Sleep Apnea (OSA) in children, which requires medical intervention. In fact, the resulting sleep apnea is the major reason that a child would have a tonsillectomy, typically between 5 and 7 years of age. This is a serious condition, which affects between 1% and 3% of children. Apart from enlargement of the glands, children can get OSA via an over-relaxation of the muscles in the throat. The resulting narrowing of the airway makes it difficult to breathe, with the child stopping breathing from a few seconds to up to a minute in time. The child will snore as the throat gets blocked, often gasp for air and wake up, before starting the process all over again. Subsequently, your child will be over tired and sleepy during the day. It is important to get OSA investigated as it not only affects performance at school and your child’s mood, but also can cause serious medical problems, including delayed growth and cardiovascular problems. Other causes of OSA include a larger than normal tongue and being overweight, both of which narrow the airway. Treatment for OSA will vary according to the cause and severity of the presentation. Overweight children are encouraged to have a healthier diet and exercise more. For others, tonsils and adenoids can be removed if recommended. For those who need the airways opened longer term, without such intervention possible CPAP is often used. This involves your child wearing a mask attached to a small machine whilst they sleep. Here your child’s airway is put under an increased airflow and pressure to keep it open during sleep. Apart from the obvious signs of disturbed sleep and snoring at night, and sleepiness in the day, morning headaches and speaking with a nasal voices are often signs of OSA. 1) Allergic reactions. Prevent animals going into the bedroom and use anti-allergenic mattresses, bedding and pillows. 2) Nasal Congestion. Apart from medication and inhalers, consider elevating your child’s head at night..